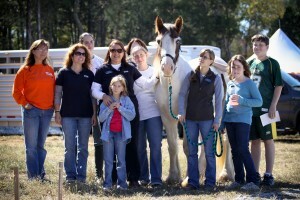 Our 201 Gypsy Open House was a day filled with much activity at LexLin Gypsy Ranch. 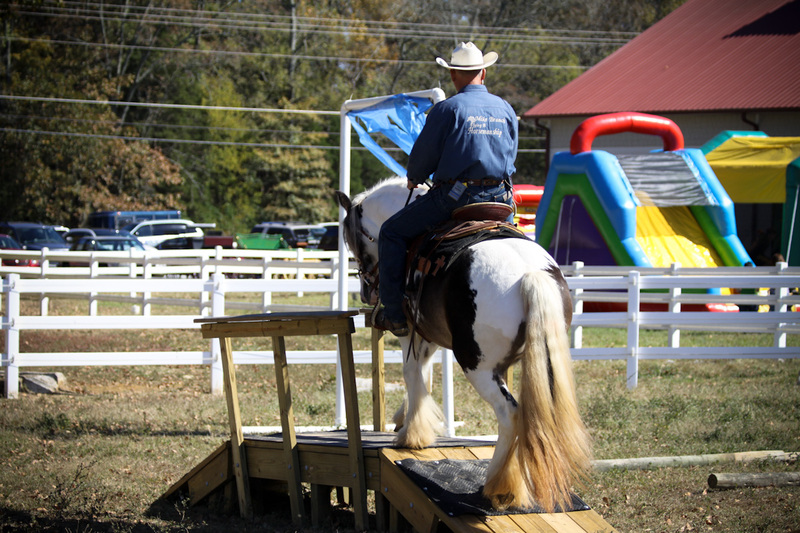 In continuing the news from our 2010 Gypsy Horse Open House we recap some more of the day’s happenings for those who weren’t able to attend the open house. Shangri-La Therapeutic Academy of Riding (STAR) brought out the Gypsy Vanner Gelding Timone that we donated to their this past summer. 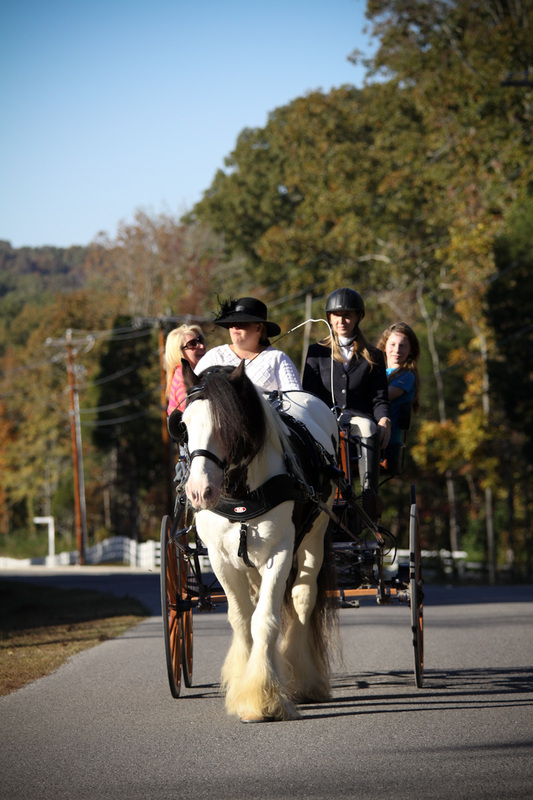 We’re firm believers in supporting and encouraging growth in children and adults who have disabilities and other challenges and believe Gypsy Horses are a perfect fit for this type of work. 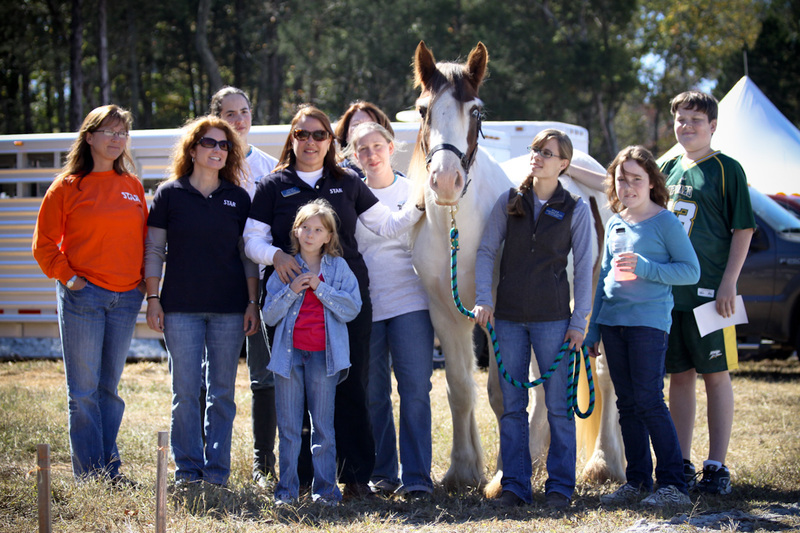 Timone is in training as a therapy horse with STAR and progressing along rapidly! STAR is in awe of this breed’s ability to adapt to new situations and remain calm. Timone was a testament to this as he soaked in the attention from the crowds and STAR’s team at the event. LexLin is looking forward to giving another Gypsy Horse to STAR and will continue to support this charity program in the future. Gypsy Horses are in their element when working with people who need an understanding and calm but capable horse that thinks through situations before responding rather than reacting too quickly to unexpected events. Carriage ride for two with our stallion Dreammaker along with a framed photo of their ride went to Shari Yager and her mother Melissa. A Free month of training with Mike Branch with purchase of a Gypsy Horse within the next year went to Garrett Simms. 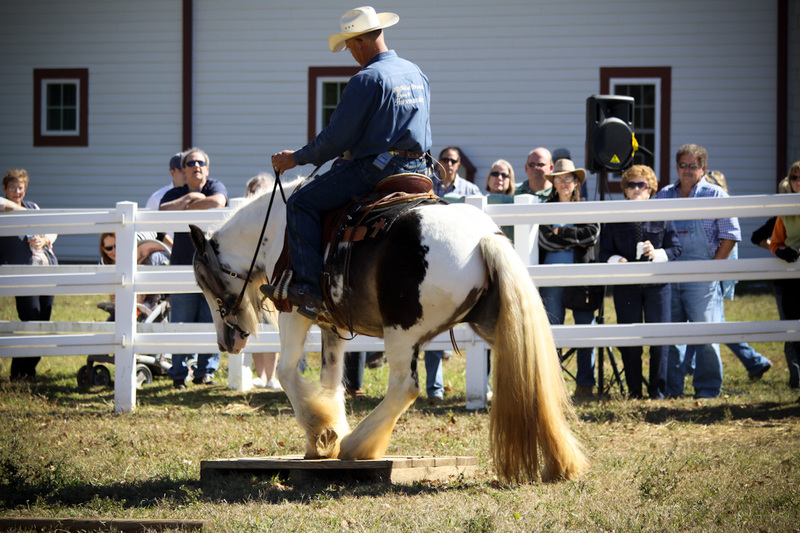 The demonstrations with several of our Gypsy Horses and their trainers was the highlight of the event for many. These horses show how well suited they are to a multitude of disciplines. They’re so versatile and willing to work with humans whole heartedly once you’ve gained their trust. 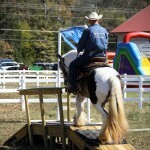 Mike Branch of Flying B Horsemanship opened the demonstrations with Jagged Dollar in the outdoor arena. Over the course of an hour he presented Natural Horsemanship training philosophy and techniques while Jagged Dollar displayed how soft, supple and willing she was to do whatever Mike presented to her. A year ago she was somewhat traumatized from her trip over from Wales and humans were not on her list of favorites. Now this striking Gypsy mare is a willing, and unflappable horse navigation obstacles with a crowd and a large bouncy house and kids in the background that she didn’t bat an eye at. From ground work, flexing, side passing, two tracking, walking over bridges, through fluttering flags, backing around a corner, standing on a pedestal with Mike standing on her back with hat in hand, walking over a tall teeter totter with a pause at the top and a variety of other obstacles that tested her, she did it all without hesitation. Mike Branch is putting together a video of this demonstration. Watch gogypsy.com for coming details on the video that highlights his training techniques, natural horsemanship philosophies while he works Jagged Dollar through the trail course. Watch for a summary of our other Gypsy Horse 2010 Open House demonstrations with photo galleries to come soon!